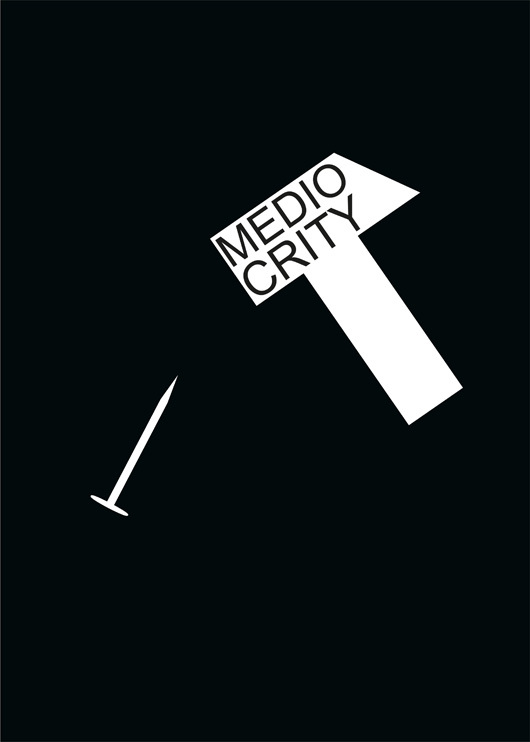 On Thursday, March 30th at 7pm was open the exhibition called „Mediocrity“, Poster as a reflection of society by artist Jovana Nikolić. Jovana Nikolić, young graphic designer, is working in different media. Her work is a mediator for critical reception of contemporary social and artistic phenomenon. 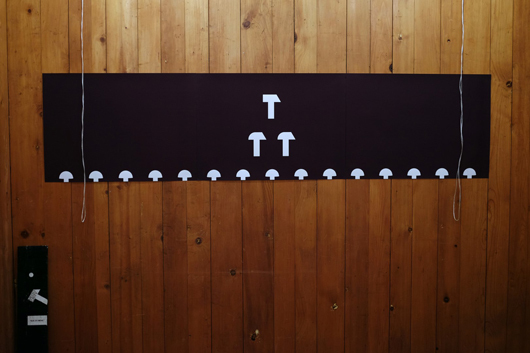 For her researches, she is using communication resources of graphic design, photography, installation and multimedia for (de)construction and decoding messages, symbols and signals of urban environment. 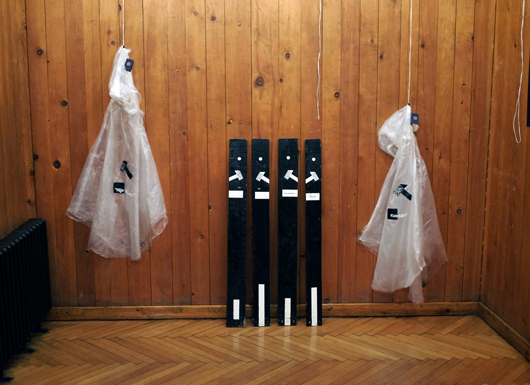 Jovana Nikolić is focusing on contemporary consumerism and mass production. 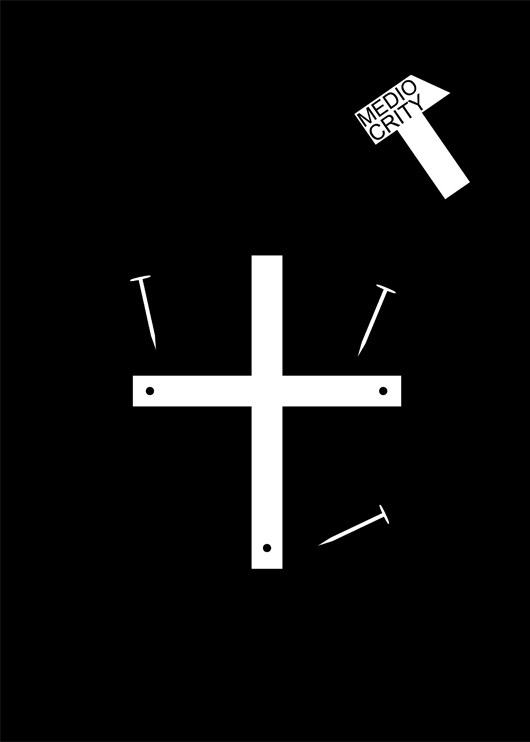 Through posters, objects/ installations and simplified compositions, she is creating reduced messages which are indicating ways of ab/using of an individual in different social and ideological systems. Jovana is repeating the term mediocrity, which, used as leitmotif, highlights her personal attitudes about contemporary society. Jovana Nikolić (1990) got Bachelor and Master degree of graphic design from Faculty of Arts in Nis, where she is working as assistant. She is attending PHD at Faculty of Fine Arts in Belgrade. 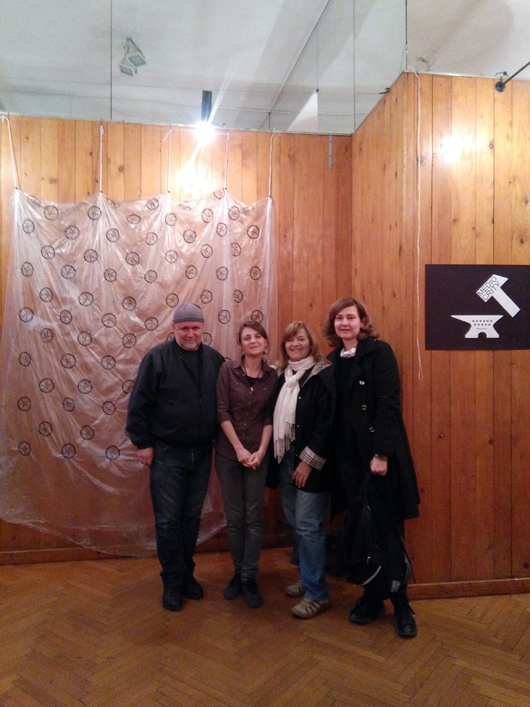 She has participated in a number of group exhibitions and festivals in Serbia and abroad.